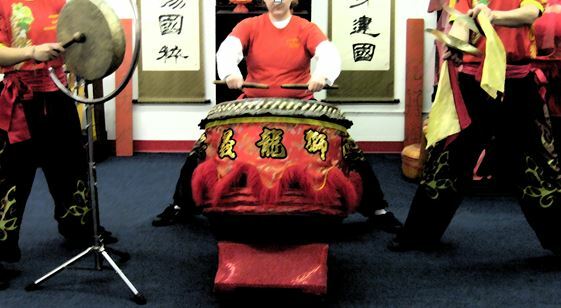 The organizers of the 1st USDLDF National Dragon & Lion Dance Championships are excited to announce the addition of a new category for their event line up, it will be a Drum Showcase. It will take place on Sunday, May 27th at the Quincy High School Gymnasium., it will take place after the Freestyle (Jongs) Lion Dance Competition is concluded. The event is designed to encourage teams travelling from other states to participate in the competition as well as showcasing the variety of musical skills, style and abilities of each team. It only requires three (3) members (one drummer, one gong player and one cymbal player) to complete a team. Instruments will be available to borrow, but teams may use their own if they wish. So if your team is unable to compete in the Dragon and/or Lion Dance competitions, due to not having having enough competitors, this event could be perfect for you! This will be a first come first serve registration on Saturday morning May 26th, only the first 15 teams to register get to compete. The showcase will be restricted to Dragon and/or Lion Dance music. The only instruments that will be used are one (1) drum, one (1) gong and one (1) pair of cymbals. No other instruments are allowed*. Team must be composed of three (3) members that can be of any age or gender. Teams may borrow the equipment or use their own. Must play a minimum of 1 ½ minutes. Maximum play is 3 minutes. Going over or under the time limits will result in a score deduction of 0.5 points. Time starts as the first instrument is struck (drum, gong or cymbals). Time ends as the last instrument is struck (drum, gong or cymbals). Judges will be selected from the group of VIPs available. Registration opens Saturday 5/26 and must be done in person. Registration fee is $30.00 per team, paid by cash or check only. Registration limit is of 15 teams. Only one team per school may enter. Registration preference will be given to teams not competing in other events. NOTE 1: Teams may use brass or stainless steel type gong and/or cymbals as well as any type of drumstick or gong mallet they prefer. NOTE 2: Judging will be based on the selected VIPs own preferences and subjective views, however judges might take in consideration items such as rhythm, harmony between instruments, variety of beats, group showmanship and overall presentation.